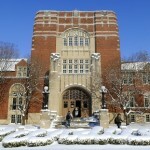 Purdue University, located in West Lafayette Indiana, is known as an engineering school with a rich history in academics and successful sports programs. The wrestling program, currently lead by second year coach Tony Ersland, is one of the top up and coming wrestling programs in the nation, with seven wrestlers qualifying for the NCAA tournament this past season and multiple wrestlers ranked nationally. Purdue ended the season ranked 25th in the nation and beat up on in state rival Indiana University. Coach Ersland, a former Iowa wrestler under Dan Gable, brings all kinds of experience to Purdue. Previously, he has coached at Central Michigan, Northern Illinois, Northwestern, and most recently Nebraska. Two of his better known pupils are two-time NCAA champion and Olympic Gold medalist Jordan Burroughs and two-time NCAA champion and World medalist Jake Herbert. Joining Coach Ersland on the Purdue Wrestling staff are Zach Tanelli and Tyrel Todd. Coach Tanelli, an All American and two time NCAA qualifier for Wisconsin, most recently served as interim head coach at Hofstra. Coach Todd, a three time All-American in college for Michigan, has coached NCAA runner up Borislav Novachkov while at Cal Poly and most recently spent time with the Cliff Keen Wrestling Club coaching freestyle. Overall, the future’s looking bright for Purdue Wrestling. 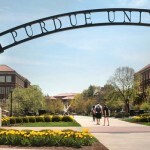 What separates Purdue from other Big 10 programs? You start with the education. 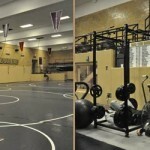 There is a tremendous education here, with a number of academic programs that are top in their field so kids can leave knowing that it isn’t just a four or five year decision, it’s really a 40 year decision that will open doors the rest of their life and even after their wrestling career is over. Location wise, conference affiliation being in the Big 10, really kids don’t have to sacrifice anything. They can have the academic experience they want and the athletic experience they want. The athletic department truly cares what’s going on in these kids lives and they want them to do well long after they have graduated. I really like the atmosphere the athletic department provides. 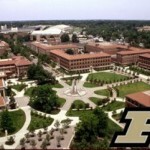 From top to bottom, Purdue has great facilities. We have an outstanding amount of square footage, we have high ceilings, we have exercise bikes, and we have weights. It’s something that is a priority of mine. We really want the student body in, coming to duals. We are working on it, right now we are doing really well on some of our duals last year. The foundation is started and it’s an area we are really going to grow and develop. The other part is on us, we need to wrestle hard and make it exciting for fans come, so they know they will see high quality wrestling. What sets a recruit apart from the rest of the pack? You have to have the skill set, but really what sets people apart is their worth ethic and competitive drive. I’m really looking for kids who work hard and have that competitive drive to be the best. We want people who are student athletes, however we don’t look at it like an Ivy League program. We have nice balance, it’s a tremendous degree but at the same time we don’t rule out kids like an Ivy League. What should a high school freshman/sophomore do if he wants to wrestling in college? Going out to Fargo, FloNationals, High School nationals, getting out to national tournaments where you can be seen. The other thing is communicating with coaches. We find a lot of kids that way that may be under the radar. Really just communicating with coaches and getting out to these important tournaments where coaches can evaluate you to against the best competition in the country. What is Purdue doing for Indiana? We have an RTC here at Purdue, we have a number of workouts this past spring which attracted a number of high level wrestlers. We also go around to a number of RTCs and clubs around the state. We are trying to reach out to the state. There are a lot of high quality wrestlers in Indiana and I’m really high on the state of Indiana and its wrestlers. We are super excited an there is a lot of energy in the program right now. We are on the verge on great things right now. Overall, there is a lot of great energy and things going on in the Purdue program.